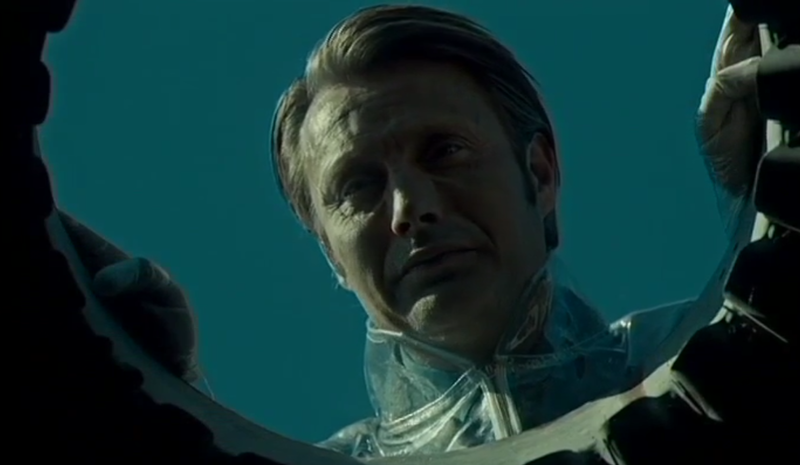 HANNIBALÂ season 2 continues to impress with its second episode, Sakisuke. “Hello. I love your work,” may be the simplest and creepiest line of the season. Shivers. Join your hosts Thomas Mariani, Dave Dreher and Doc Rotten every week as we will take all the ingredients from the weeks episode, run it over our delicate palettes and then spew forth with a breakdown that is sure to leave you screaming for desert. Sakisuke show us that Veal Oso Bucco can be a very scary mean! Hannibal, what have you done? 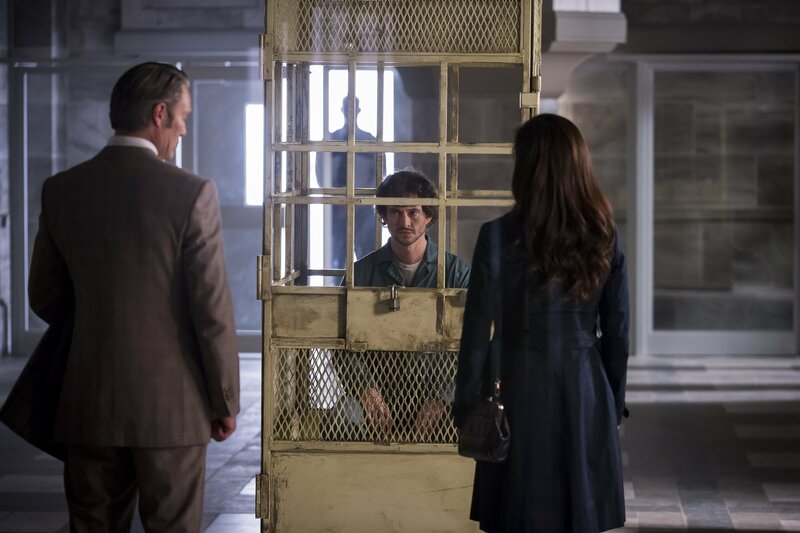 Â Hannibal surprises the serial killer with an eye toward art weaving a wicked surprise into the mad man’s human tapestry. Dr. Du Maurier gives Lecter a nervous pink slip and bails quickly from the scene. Will Graham, still in prison, starts to untangle is own mess laying the ground work to trap Hannibal in his own game.Â Surprises are numerous and tension is guaranteed and itâ€™s all makes this episode of the Â HORROR NEWS TV HANNIBAL FAN PODCASTÂ a must listen event! 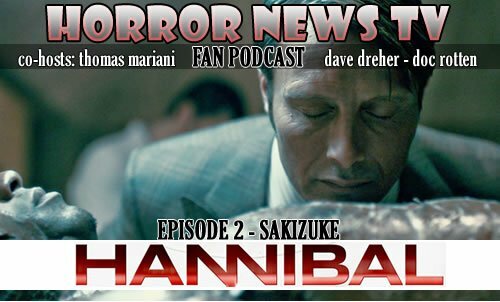 As always we want your feedback so drop us a line at thomas@horrornewstv.com or dave@horrornewstv.com or docrotten@horrornewstv.com and weâ€™ll talk next week as we continue to bring you our recipe for fear with theÂ HORROR NEWS TV HANNIBAL FAN PODCAST.